It is important that all members of our community live in a home environment that is safe, secure, and easy to move around in. Aging in Place and Home Repairs are both ways for Cornerstone of Hope to help vulnerable members of the community, such as low-income families, the elderly, disabled, or veterans, maintain their living space. For some seniors, mobility becomes an issue and getting around the house isn’t as easy as it once was. Additionally, yardwork may become too strenuous a task and houses may fall into disrepair, and violate city codes as a result. This can be grounds for a senior to be forced out of their own home, and Cornerstone tries to help avoid this injustice with Aging in Place. Cornerstone of Hope’s Aging in Place program allows seniors to stay in their own homes by doing small construction projects, like widening hallways, making wheelchair ramps, or redoing bathrooms for accessibility. Sometimes, homes just need a little extra love and care, but homeowners are not always equipped to do these themselves. This is where Cornerstone will step in to help with both exterior or interior work performed to alleviate health, daily life, or safety issues. Additionally, Cornerstone will do home repair projects designed to improve the energy efficiency and overall indoor air quality and comfort of a home. This weatherization is a systematic repair process to an existing home that will protect the home from the elements and implement energy saving modifications. Unfortunately, due to safety laws Cornerstone of Hope cannot work on mobile homes, plumbing, electrical issues, or work on roofs. Additionally, homes built prior to 1980 will need special consideration due to laws covering lead and asbestos removal and/or repair. Residency -Applicants must reside in Rock or Jefferson Counties and homes must be owner occupied. 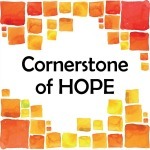 Willingness to help – Helping us help you is a central component of eligibility for Cornerstone programs. Homeowners must be willing to help by working alongside volunteers to the best of their ability. Participation of all adults over 18 in the household is expected. Demonstrate need – The scope of the project and the condition of the home will be assessed by Cornerstone, including all circumstances that prevent the homeowner from completing the work themselves. Ability to pay – Homeowners ONLY pay for the materials used in the Home Repair, not the work itself. Homeowners that meet the four criteria above and have projects that fall within the scope of Home Repair and Aging in Place Guidelines will be selected after filling out a Home Repair Request. Home Repair Requests can be printed off and mailed to the Janesville Office for consideration by the Selection Committee. The Committee will review all requests and contact homeowners to set up a home visit and informational session. Annual income information is collected, and credit and background checks are done on all applicants and members of the household.